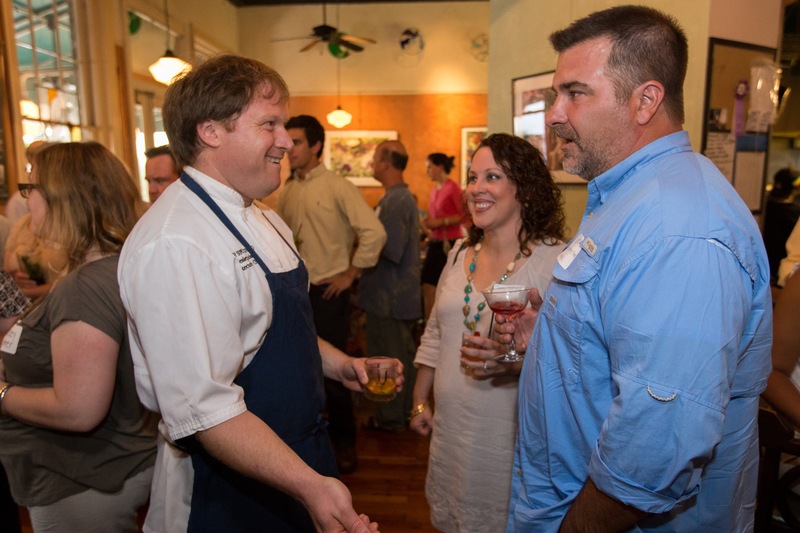 Oct. 1, 2014 (COLUMBIA, S.C.) – New Midlands farms join the ranks for Motor Supply’s Fall Harvest Week, October 7-12, 2014, the weeklong fête featuring a specialty dinner menu and limited edition cocktail list, exclusive to Harvest Week, in honor of the small, local and sustainable farms the bistro works with year-round. In celebration of the restaurant’s upcoming 25th anniversary, accomplished Executive Chef Wesley Fulmer has created a superb, all-housemade menu – not-to-miss by regulars and visitors alike – combining the freshest ingredients from the 11 Fall Harvest Week featured farms. Guests will have their pick from a menu featuring several different first course, salad course, entrée and dessert options, featuring ingredients like Merguez sausage, pumpkin seed vinaigrette and ricotta gnocchi – Chef Wes is out to impress this Harvest Week. Head Barman Josh Streetman will be mixing up farm-to-shaker cocktails for the limited edition Harvest Week Cocktail List, with an equally creative manner. Try them Tuesday, October 7, 5:30-7:00 p.m. at Meet the Farmer Happy Hour, where guests, media, local foodies and travelers alike will gather to meet and mingle with the featured farmers. Don’t forget to stay for dinner at the historic oak bar, a cozy indoor table or out on the newly renovated patio, decked with fresh fall blooms from Floral and Hardy Farms, the restaurant’s local, year-round floral supplier. Reservations are highly encouraged and can be made by calling (803) 256-6687 or by visiting www.motorsupplycobistro.com/reserve. Motor Supply’s dedication to the Slow Food initiative, maintenance of strong relationships with small, sustainable farms and daily-changing menus mean each day of the past 25 years – for both staff and guests – feels as fresh as the local ingredients used. The restaurant has hosted Harvest Week biannually since Fall 2011, but has been serving made-from-scratch cuisine in the historic Vista since 1989.